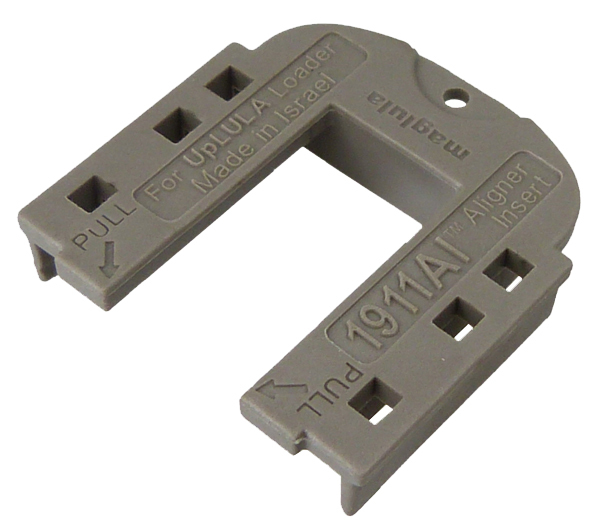 An aligning insert add-on for the UpLULA™ and 22UpLULA™ loaders. 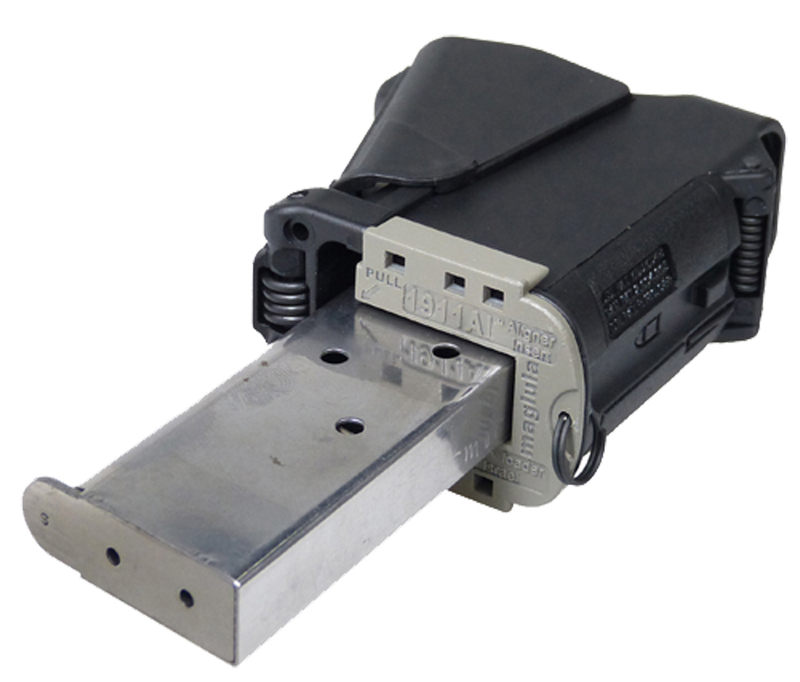 It assist loading single-stack magazines by eliminating wiggling of the mag inside the loader. It's an insert to your existing loader, not a new loader. If you are using single-stack magazine whether .45 cal. 1911, 9mm single-stack, or .22LR cal. converted 1911, as examples, we highly recommend that you use our new 1911AI™ Aligner Insert with your UpLULA™ or 22UpLULA™ loaders. 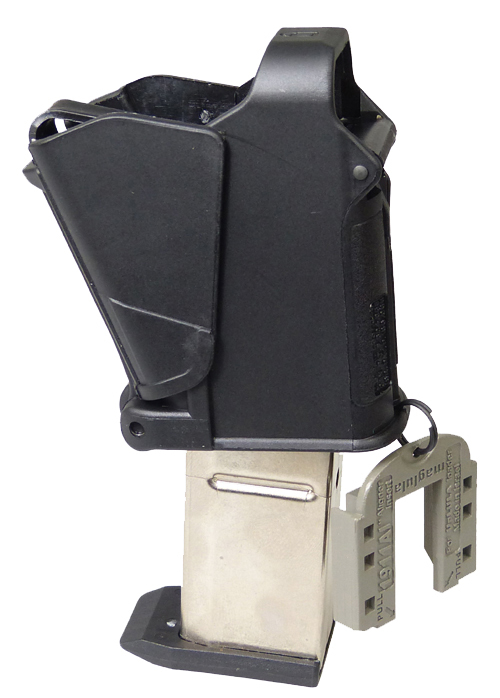 With it single-stack magazine will not wiggle inside the wide body of said loaders. You connect the 1911AI™ Aligner Insert to the ring of the loader and thereafter it can be 'clicked' to the bottom of the loader to narrow it when using single-stack magazines. You can easily release it when loading wide-body mags.